Well the title says it all. Apple, the inventor of modern smartphone, Apple quietly celebrating the joy of selling 500 million iPhone within 7 year of introduction to the market. It’s a huge number considering Apple is only selling their smartphone in premium price with only one model each year except 2013. Apple sold only 12.8 million iPhone in its first year of release. By that time Nokia was selling this number oh devices every week! 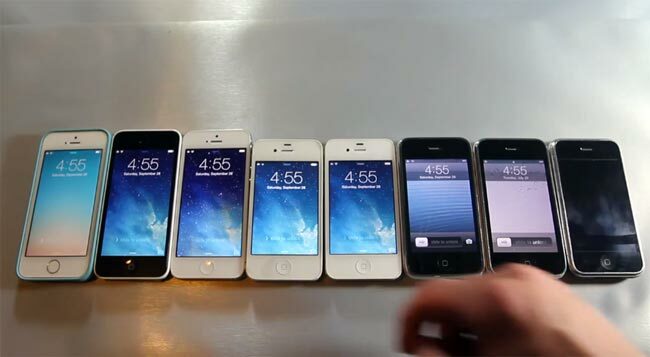 The 100 millionth Apple iPhone was sold around February 2011, close to four years since the device first went on sale. But just one year later, the iconic smartphone quickly reached 200 million in sales. By then, of course, AT&T had lost its exclusivity. And quickly, before the end of 2012, the sales total reached 300 million. iPhone reaches 400 million mark in July 2013 and it is now estimated that on 8th of March someone has bought the 500 millionth iPhone. Many analysts believe that the 600 million mark will be reached before the end of 2014. If reports of 5c price cuts are to be believed, then Apple should have no problem reaching that number.